We turn conventional sales belief and practice upside down in this episode. It’s normal for salespeople to want to avoid no. In fact, the fear of it is what causes many to avoid calling, which means they have zero chances of making sales. 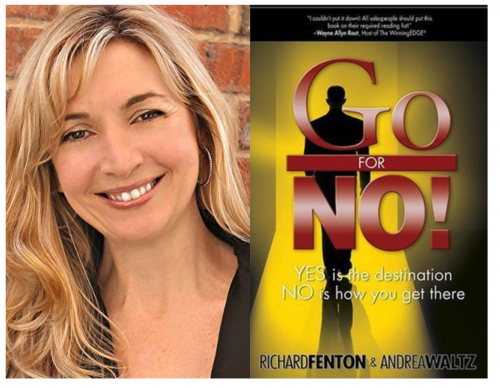 Andrea Waltz suggests that we “go for no,” which is also the title of the book she co-authored with her husband, Richard Fenton. You’ll learn how to totally change your mindset regarding “no,” why you should actually seek them out, and how when you do in a big way, will get more “yes” answers than you ever imagined. Get the “Go for No” book, see their courses and other offers, their blog, hire them for keynote speaking, and more at GoForNo.com.